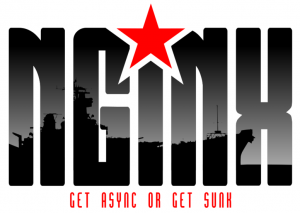 Recently, I was struggling to get Nginx in front of Django for a new project. To help with debugging, I wanted to see the headers returned by Nginx. My Nginx configuration adds a “X-Static” header which returns a “hit” or “miss” to indicate if Nginx served the media. When debugging, I find it helpful to use “add_header X-Mitch $request_filename” to see what Nginx is trying to load. This will tell your user s browser to keep the static assets cached and they won t make unnecessary HTTP requests just to see that the version they currently have is already the latest and this will surely improve your website s perceived performance yes there s a REAL and a user perceived performance for every application …Nginx isn t as well known and used as Apache s HTTPD but one of the most common deployment environment for Rails applications specially after Phusion Passenger for Nginx we clearly needed a simple solution for this expires header. We re matching based on file extensions so anything that ends with .js would be a match and would be served by Nginx exactly what we want right?.Maybe not.